Please note: Any files referenced in the audio will not be included. It met and surpassed my expectations. Practical writing strategies that I truly believe have the potential to improve the quality of your work and its financial rewards. 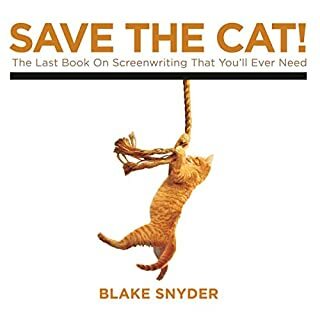 The most memorable section of the book was a transcript of a brainstorming session between George Lucas and Steven Spielberg as they outlined the character and plot points for Raiders of the Lost Ark before the screenplay was ever written. The narrator was a perfect fit of authority and passion that I identified with immediately. Brilliant. 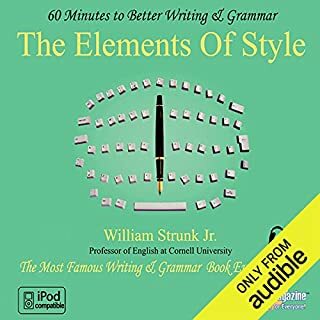 Best book on writing available at Audible so far. Would you listen to Million Dollar Outlines again? Why? I definitely would. 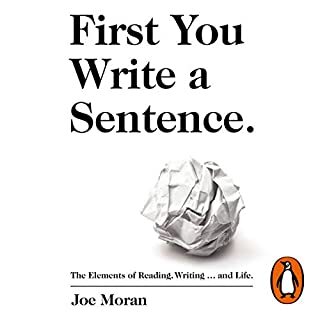 It's so full of useful information that it takes time after time to fully comprehend the depth of author's advise and approach. Multidimensional approach, when author looks at certain matters from different points of view. I liked the most his description of plot and characters - it's very rich and thought provoking. Best writing advise from one of the best writing gurus in the world. 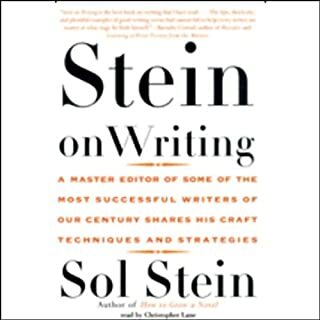 Would recommend this book to every prospective author with different levels of preparation. 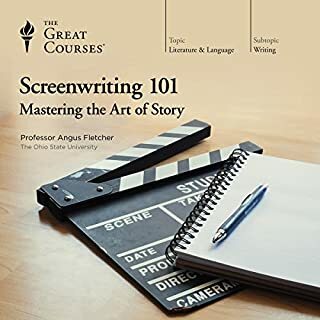 I have read many screenwriting books. I actually bought this book to write an outline. But the title is not an indication of how to write an outline. It gives a good general knowledge of how to write a good story. Few good tips in the book. The book is more of less in 2 parts. 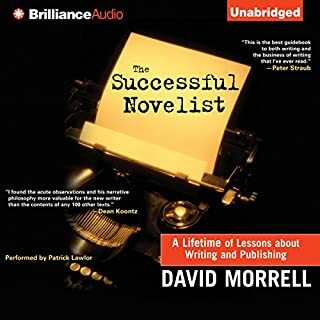 In the first part the author lays out his approach to picking which topics and themes are most likely to make a bestseller. This part of the book is a 1 star. There's lots of self-congratulation and not a lot of usable insights. 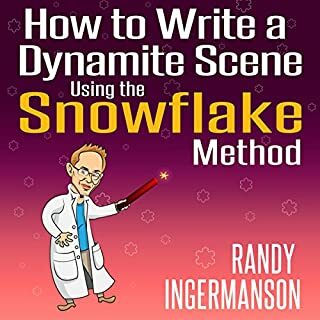 The second part of the book actually covers how to create a plot and is really quite good. The actual creation of an outline takes up maybe a quarter of this section. It's good stuff, but it's less focus on the topic than you might expect from the title. An addenda includes excerpts from the brainstorming session for the script of the first "Indiana Jones" film with some commentary, this is also quite good. What aspect of Gary Johnston’s performance would you have changed? For the love of God Casual is not the same as Causal. Also occasionally couldn't make out what he said (I work in a noisy environment so it may just be me). Was Million Dollar Outlines worth the listening time? When I relisten I'll skip over the first section for sure. I wish this came with a PDF of the graphics referred to in the text. What made the experience of listening to Million Dollar Outlines the most enjoyable? 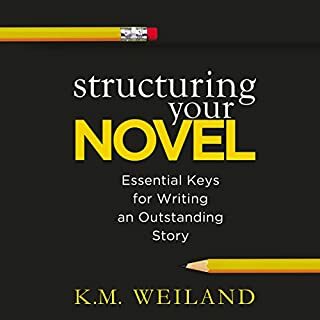 Once the book actually got going (after an hour or so), this book became the one I've been seeking for a long time: a discussion of the actual nuts and bolts of crafting a story. 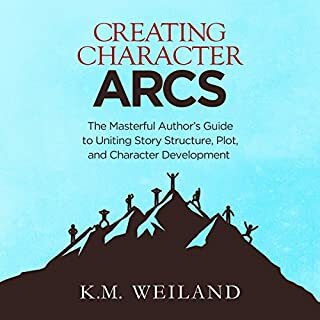 What needs to happen for the reader to care, or to make characters seem less one-dimensional, or to increase the tension between even the allies of a story. As it went on, the book became more and more useful, going so far as to list out the classic character roles, textbook-style. 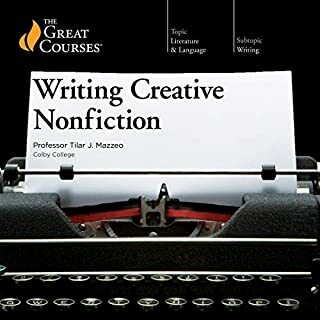 Listened to this on my commute, but am now going through it again, pen in hand, to write down all the excellent, low-level instruction that's stuffed into it. Though it occasionally wandered into loftier topics, a wide majority of the time was spent discussing practical matters: this is how to make a dinner conversation interesting, for example. This is why the protagonist has to fail, then make it worse, then fail again, etc. His voice was dynamic and clear (even though he one said "smiles and metaphors" instead of "similes and metaphors"), but it frequently seemed like his "reading the book" voice was also his "reciting the dialogue of someone who is very annoyed" voice. Not a deal-breaker by any means, but got a little annoying sometimes. What did you learn from Million Dollar Outlines that you would use in your daily life? 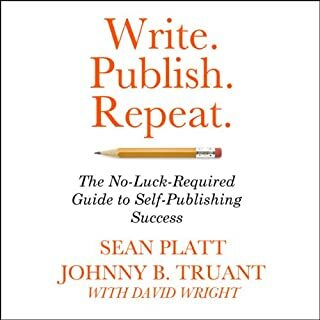 Hours and hours of tips and concrete examples, not only with how to do things in your book, but how to think differently about your plot and move in new directions. At one point, the print version lists the top-50 grossing movies of all time. This could have been skipped for the audiobook, but instead, they chose to read every. single. one. Also, there's a TON about plot, but "Million Dollar Outlines" includes very, very little about actual outlines. 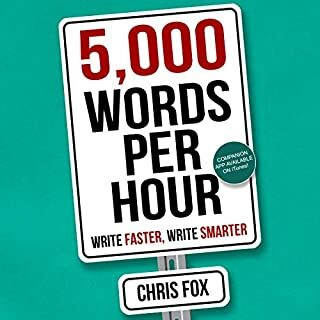 A previous reviewer stated that the podcast "writing excuses" covers everything this book had to offer. With respect to that reviews opinion, I'd like to strongly disagree. Writing excuses is good. I'm a big fan, but this is an entire book on the subject of outlines, and not 15 minutes. Also this is much more a first had teaching, where writing excuses (even if it is good on it's own) is somewhat a synopsis if this kind of information. It's simple and to the point. I wanted to dive in a bit more and this book did just that. I got a much fuller overview on this topic. Other then that- I'd say that this book was enlightening. I was disappointed that there was so much back and forth about how much this movie made or that movie. It seemed like the reader was just reading out a chart to me during that chapter. That may he been helpful for some- but I have Dyscalculia so it was just numbers and names for me on that part- but I'm sure not going to rate it down for that because I'm sure it would be helpful for those who understand numbers. And even with that handicap I still loved it- so what does that say? I'd call it a keeper. 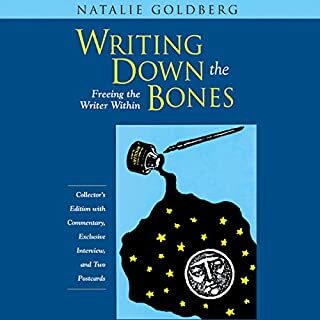 This is a good book on learning to write. I think it's solid and the narrator is great. I like it. 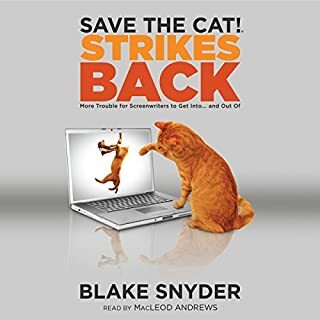 The problem for me is that I tried to listen to this after already listening to all of writing excuses (a writing podcast featuring the likes of Brandon Sanderson and Dan Wells and Mary Robinette Kowal and Howard Taylor). 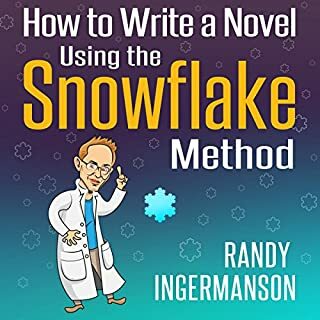 I read this book because Farland is Brandon's teacher but if you listen to writing excuses, Brandon (and his crew) teaches you basically everything Farland does and imo, he does it better. And writing excuses is free and there's like 9 seasons of it. Great for some podcasting time for work and the like. This is a solid book though. It just didn't work out for me because the reason stated above. I highly recommend writing excuses though. It's changed me for the better and done loads more for my writing career than a degree in creative writing. 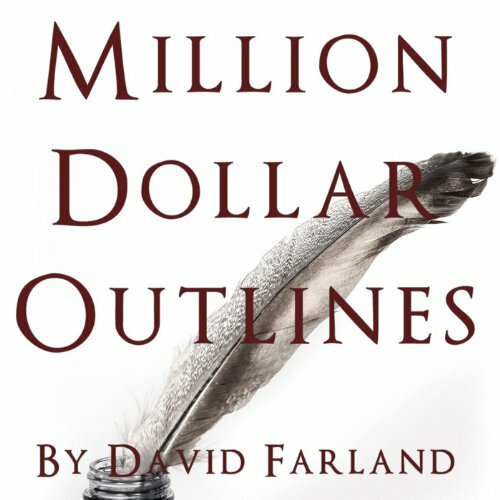 Where does Million Dollar Outlines rank among all the audiobooks you’ve listened to so far? It ranks very high. It's one of those books I go back to time after time. What other book might you compare Million Dollar Outlines to and why? I compare it to Story for the volume of useful information it contains. What about Gary Johnston’s performance did you like? His delivery comes across like a friend in a conversation or who has left you voice mail. You'll want this book for your reference desk. It will expose you to mistakes that can make your book a non-starter. Narrator mistakenly said 'casual relationship' when he should have said 'causal relationship' and 'smile' instead of 'simile' this was consistent and bugged me quite a bit. Otherwise, excellent production. The content of the audiobook is superlative. Extremely helpful and educational. This book is so much more than a book about outlines. It is an instructional survey of both the business and the craft of writing a novel. Every minute of it is a treasure trove of revelations. 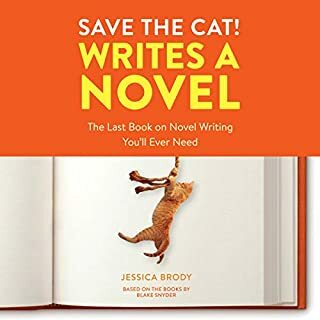 This needs to be on the shelf or virtual shelf of anyone who is serious about writing a novel. Loved it. If you could sum up Million Dollar Outlines in three words, what would they be? The intro looks at "what makes a story tick". 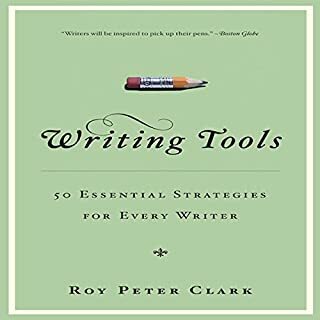 I think this is something often overlooked by other writing guides that deal with the technical details. What does Gary Johnston bring to the story that you wouldn’t experience if you just read the book? Well narrated although I did wish that there is a way to see the examples and exercises in print format. This book made me recosider my approach to storytelling. It is infused with practical examples and tools. I only wish I had read it sooner! I'm trying to change my ways as a writer and need practical help with outlining. 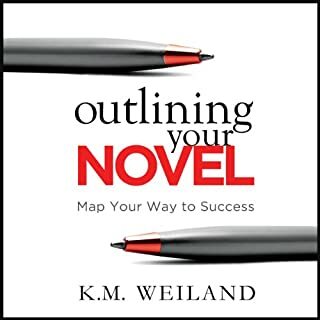 While this book gives great things to think about and include in your outline, I would have appreciated a more step by step approach. The final chapters had what I was looking for, but it took a long time to get there.